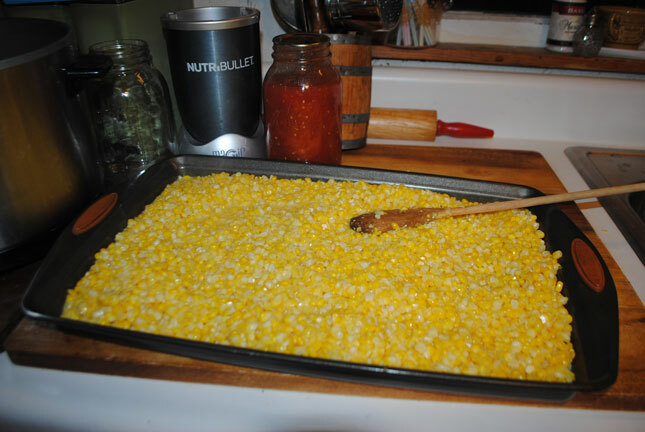 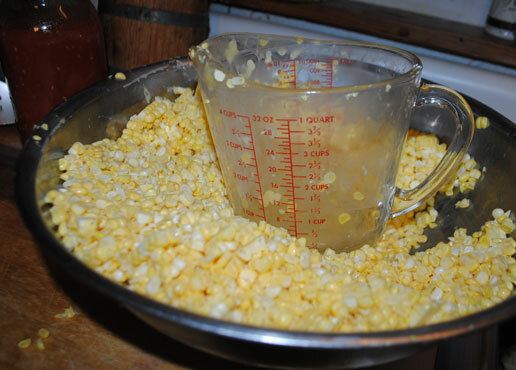 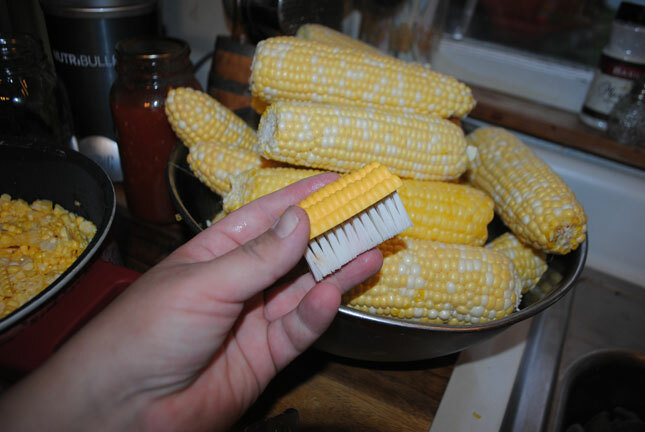 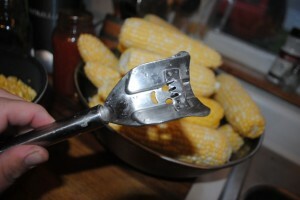 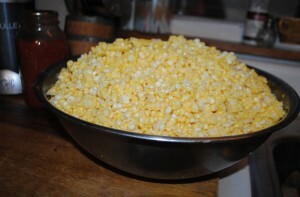 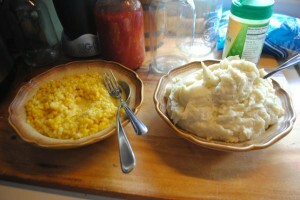 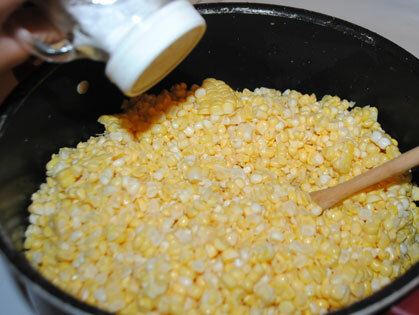 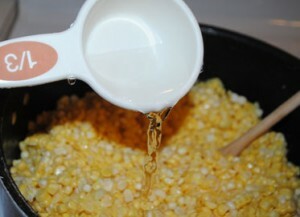 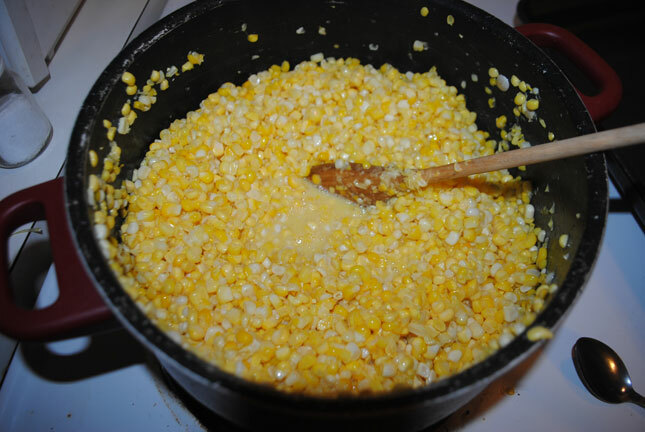 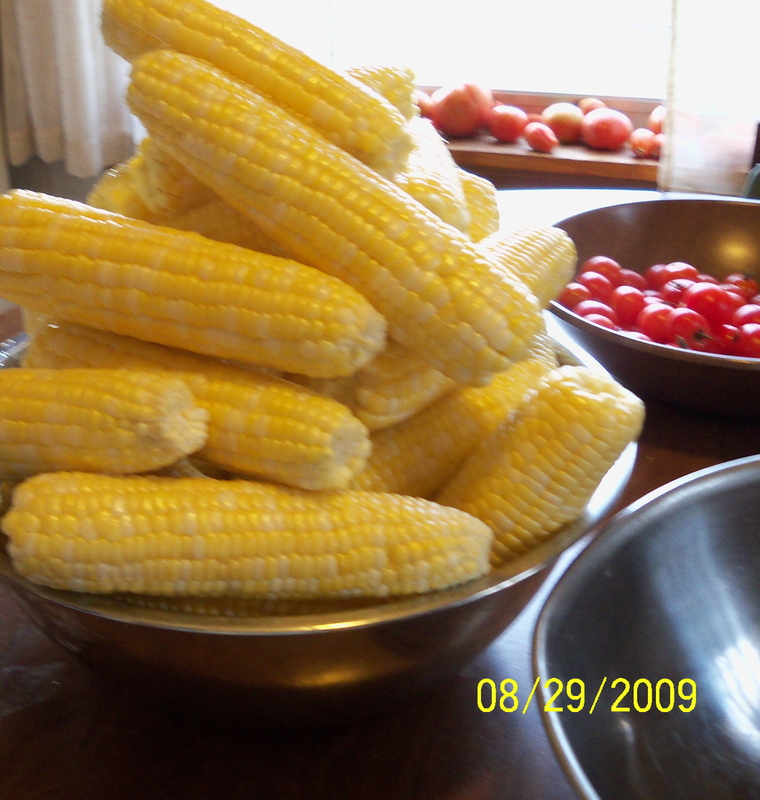 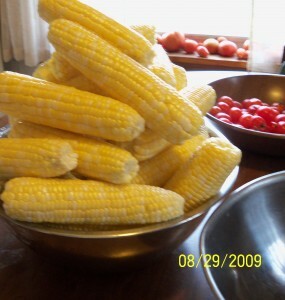 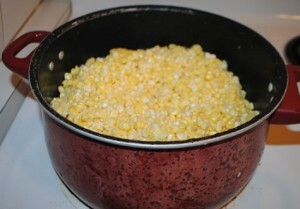 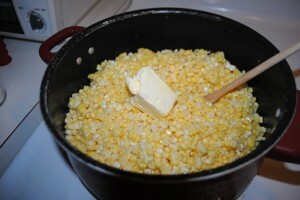 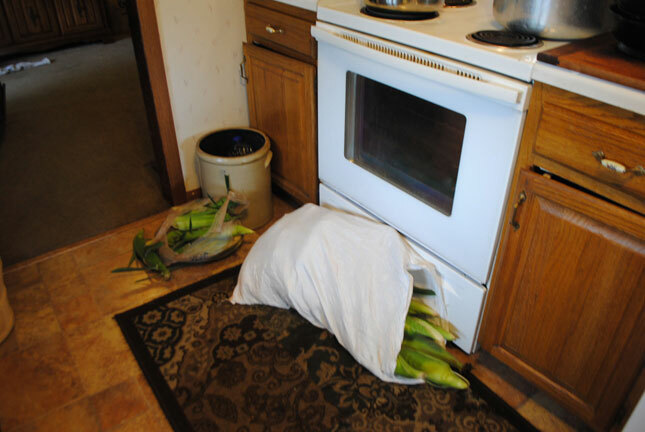 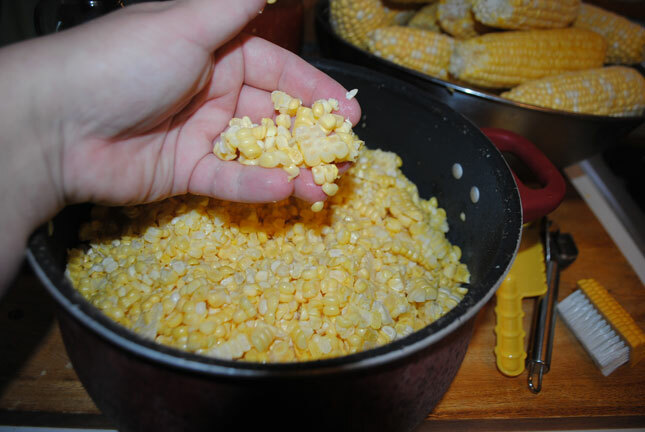 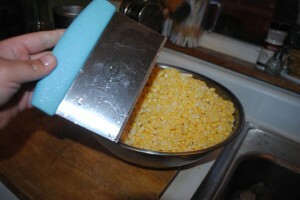 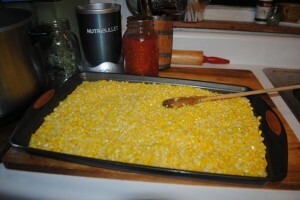 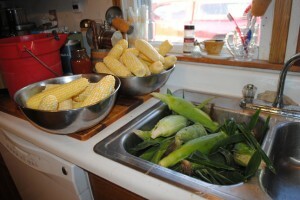 Okay so I have been doing it this way for years now.. My elderly neighbor Thelma, who has taught me so much over the years about canning and gardening, asked me one day “why are you canning your corn”? 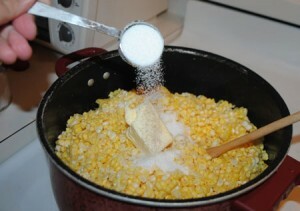 haha I was confused by her question.. 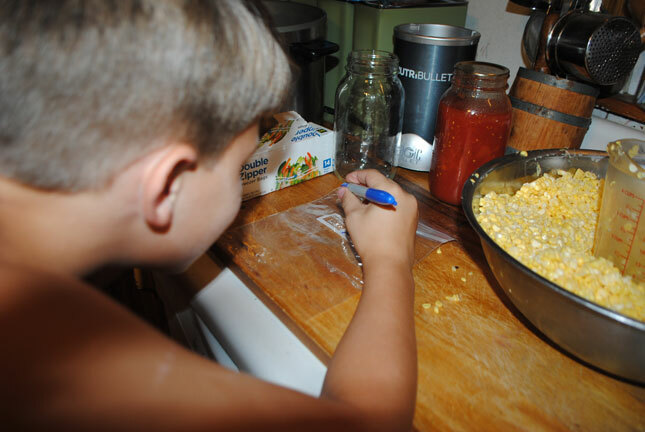 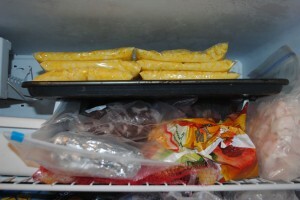 I said “we like corn” She laughed and told me freezing it was much better.. it had a better taste.. and she gave me instructions how to best freeze sweet corn.. Well it is MUCH better trust me. 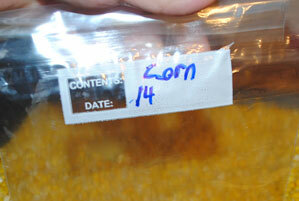 Have some quart size freezer bags labeled and dated . 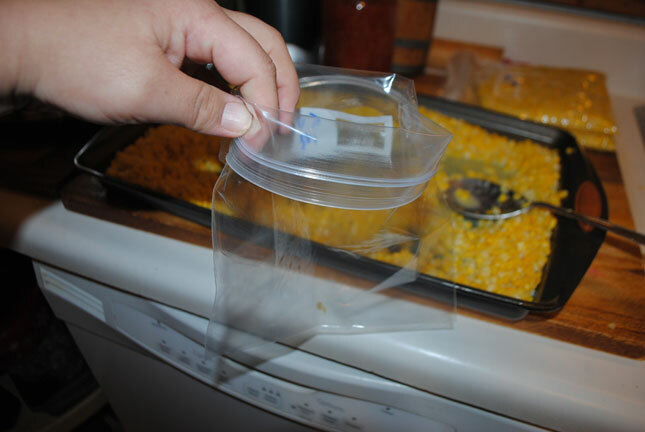 (food sealers work great also if you have one, mine died). 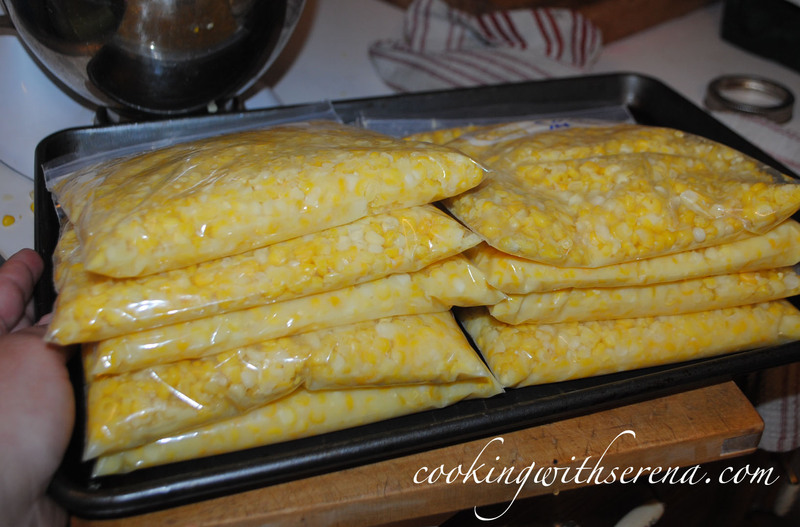 put into freezer and let freeze completely before taking off cookie sheet ..
then stack in freezer how you desire..
when ready to eat, get out of freezer a bag and let thaw.. heat up with butter in microwave or in saucepan till warm and ready to eat.